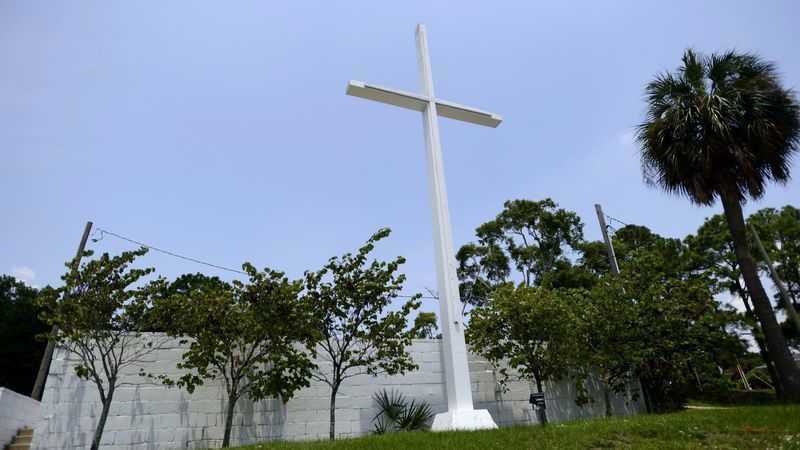 PENSACOLA, Fla. — A federal judge appointed to the bench by then-President Ronald Reagan has ruled that a 25-foot cross display in a public park in Florida is unconstitutional and must be removed. The American Humanist Association (AHA) and the Freedom From Religion Foundation (FFRF) had sued the City of Pensacola last year on behalf of four local residents who asserted that the cross, which has been displayed at Bayview Park for over 70 years and maintained by the city, violates the separation of church and state. The groups had written to city officials to request that the cross be removed, but their demands were rejected. Therefore, they took the matter to the courts. Kondrat’yev and his wife, who was also a plaintiff in the case, have since moved to Canada since becoming involved in the suit. David Suhor, an atheist who delivered an invocation to Satan at the Pensacola city hall last year, was additionally one of the complainants in the legal challenge. However, attorneys for the city argued in court that the cross is simply a longstanding part of Pensacola’s history and has never been construed as favoring one religion over another. During oral argument last week, U.S. District Court Judge Roger Vinson disclosed that he was a part of the Jaycee—the group the helped to place the cross years prior—in the 1970’s and served as the group’s president in 1974 and 1975. He seemed to suggest that he did not want to remove the cross, but felt he must. “I may not agree with the law, but I still have to apply it,” he stated. Vinson also outlined in his Monday ruling that he believes there is a difference between the original intent of the Founding Fathers regarding the Establishment Clause and the various case law that he felt bound to follow. He said that the cross would be deemed legal if viewed through the lens of what the nation’s founders intended. “Ultimately, these are not difficult questions—legally speaking—because there is controlling precedent directly on point,” Vinson said. The Reagan judge then pointed to the outcome of a similar case in Rabun County where a cross that was determined to be of a religious nature was found to be unconstitutional. Vinson said that the cross could have stayed if the land surrounding it had been sold to a non-governmental entity. However, he concluded that because of existing case law, the cross must come down and ordered it to be removed in 30 days. But area residents, as well as supporters from across the nation, are upset about the outcome and are still seeking a way to save the cross. “Don’t let four people, of whom two now reside in Canada, decide what’s right for the City of Pensacola,” one petition being circulated reads. The petition already has 11,000 signatures as of press time.